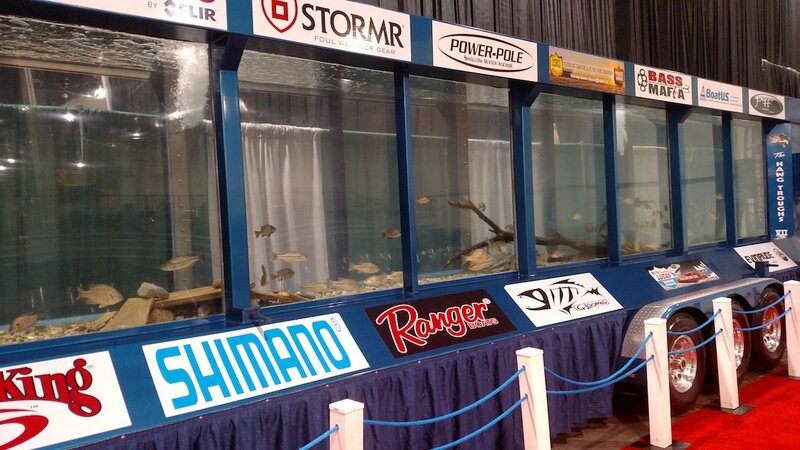 Our show features a comprehensive lineup of seminars and demonstrations! Use the buttons below to find what interests you! 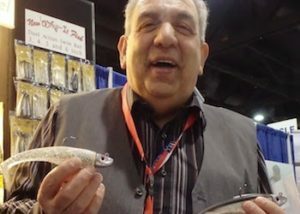 Al Gag … Al “Gag” Gagliarducci, of Al Gag’s Fishing Lures, is known and well respected throughout the East Coast as the inventor of the now famous Whip-it Fish and Whip-It Eels soft plastic lure. Al has a long history in the fishing industry. He has been building and designing custom lures since 1978. 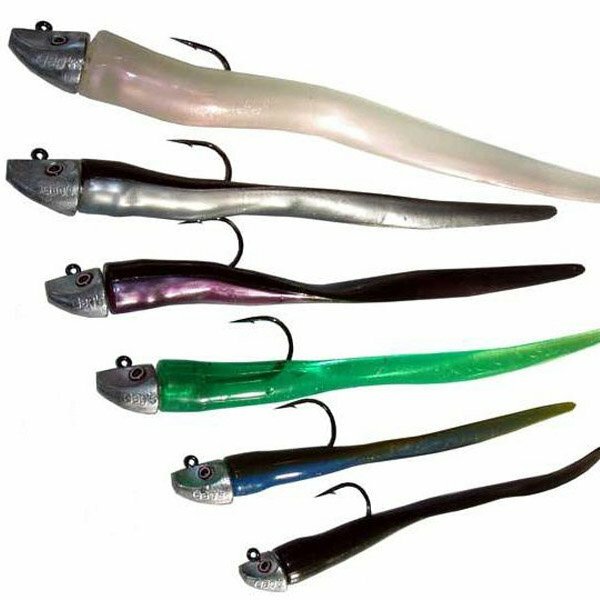 Gag’s most now famous lures are called the ‘Whip-It Eel” “Whip-it Fish” and his NEW 5oz World Record Striper Company RATTLE head and the 1/2oz Underspin! This special lures have a custom molded head, life like eyes and, a shape that adds a natural swimming action that fish love. Capt. 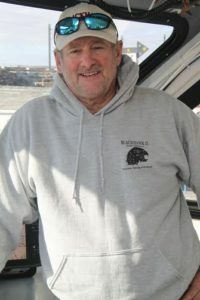 Greg Dubrule, of Blackhawk Sport Fishing, has been a popular figure in the New England charter and partyboat industries for over four decades. He possesses an extensive knowledge of both inshore and offshore fishing, from 1,000 lb blue marlin and giant tuna to striped bass and blackfish. 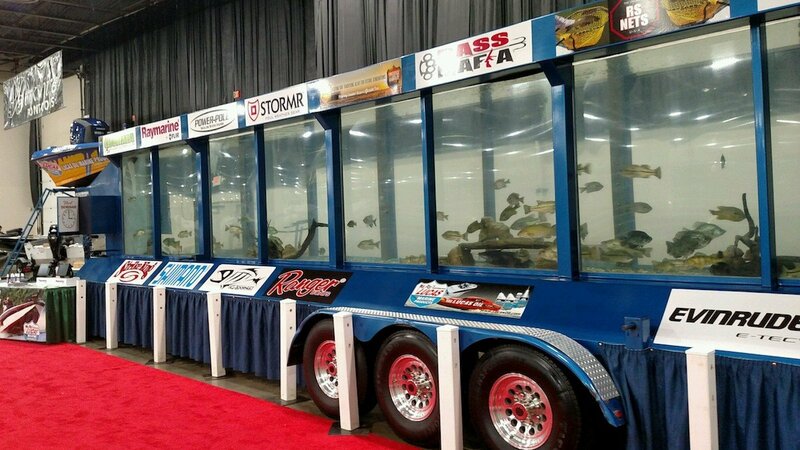 He’s been a featured seminar speaker at all the major sport and fishing shows throughout the lower 48 states. Greg has been written up in national publications such as Outdoor Life, Saltwater Sportsman, Field and Stream, and countless other regional and national publications- even Newsweek magazine. Dozens of television shows have featured him over the years, including Al Linderfrom The In-Fisherman series. He’s a colorful and excitable seminar speaker willing to share his experiences and expertise to instruct anyone on how to catch’em. Greg is currently the owner and operator of the partyboat BlackHawkout of Niantic, CT where he puts a tremendous amount of energy and enthusiasm into the BlackHawk’s own Take A Kid Fishing and Black Hawk and the Community. Captain Joe Diorio is a well-known for fishing throughout the New England community. He has been fishing the coastal waters of CT, RI and NY for over 25 years. He is the owner and operator of Joe Diorio Guide Service, which runs out of CT on his 22’ Bluefin. 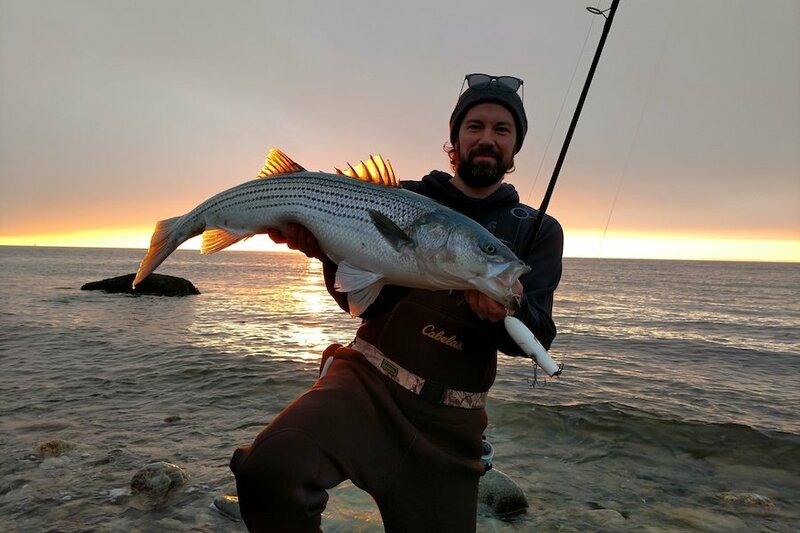 Joe is best known for catching trophy sized Stripers in the New England area throughout the year, but also has an extensive knowledge targeting various other species in the area. Joe is a 3 time On The Water Magazine, “Angler of the Year” and has won and placed numerous tournaments. 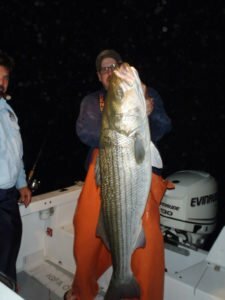 He has landed many Stripers over 50 pounds, one 60+ pounder, and this past season Joe caught and released a massive Striper over 70+ pounds. 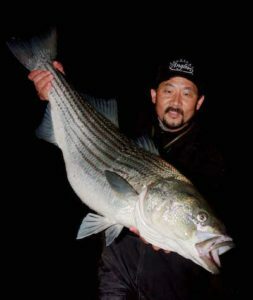 This past season alone Joe and his clients have boated over 10 plus Stripers at an astonishing 50 plus pounds. Each of those Stripers were released to assure the protection and future of Striped Bass. Recently Joe did a TV show with On The Water Magazine that will be aired in February 2019. He is affiliated with some of the very best companies in the industry which allows him and his clients to fish with some top of the line products the fishing world has to offer. Joe’s seminar is one that you will not want to miss. Captain Leo Croisetiere owns and operates Sophie Sea Charters, LLC out of Portsmouth NH with his 1st mate Larry Smaracko. 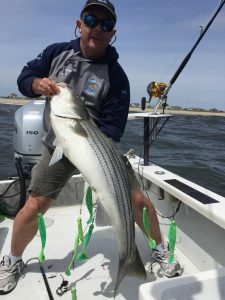 With over 25 years experience both inshore and offshore, Captain Leo has mastered the technique of shallow water trolling for stripers. 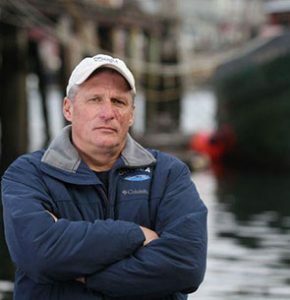 Captain Mel True has been fishing the coastal waters off of New England for over 25 years. 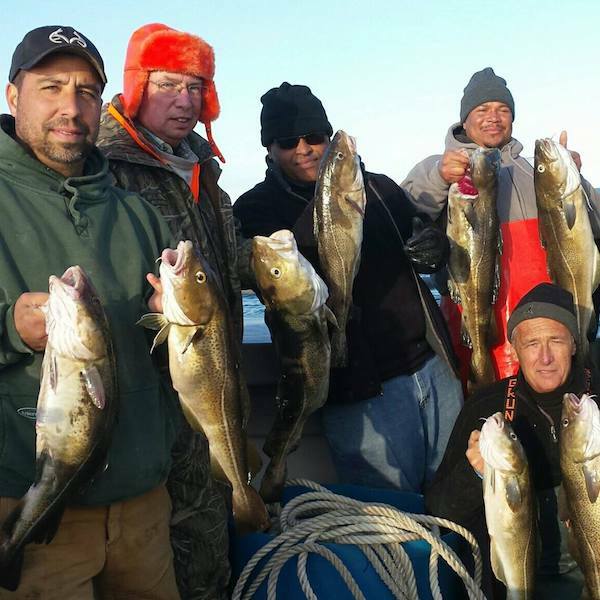 He owns and operates “Fishnet Charters” a full-time mobile, charter fishing business that brings anglers to legendary fishing locations along the Massachusetts and Rhode Island coastlines. 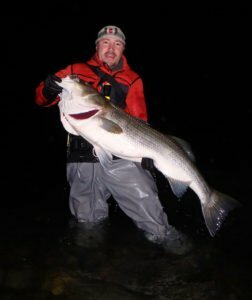 His knowledge of the fishery is often showcased in his articles that are featured in some of the top fishing magazines in New England. He is also a professional photographer whose photos have been featured in several fishing related advertisements and he has been on several fishing magazine covers. Capt. True also enjoys sharing his experiences and fishing expertise at seminars hosted local fishing clubs. He is on the Pro Staff of various local and national companies with ties to the fishing industry. He is actively involved with the development and testing of many fishing related products. These connections allow him to use some of the best products on the market. Known for consistently catching trophy sized fish, Capt. Mel is also respected in the fishing community as an all around true sportsman. 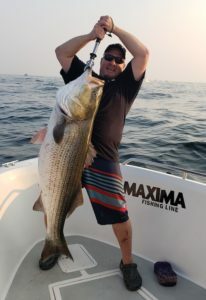 Captain Mike Roy - Long Island Sound: Light Tackle, Big Fish! ntagious. Captain Mike is a United States Coast Guard OUPV Licensed Captain and graduated from Southern Connecticut State University with a Bachelor’s and Masters Degree in Education. Captain Ralph and the Odysea are featured in the National Geographic channel’s Wicked Tuna. 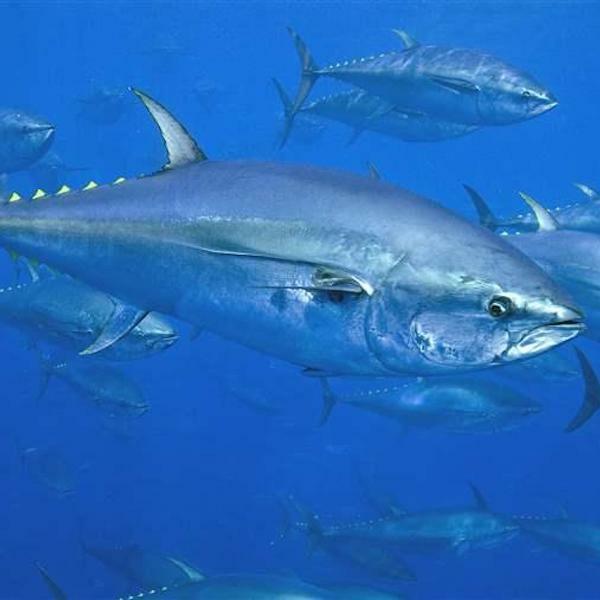 Along with other skilled fisherman, Captain Ralph and First Mate Kit “Pirate” Vallee set out in the fierce waters of the North Atlantic in the hopes of catching the elusive and valuable Bluefin Tuna. These men rely on fishing for their livelihood, and with the potential for a high price tag for one fish the competition can, and often is, brutal. 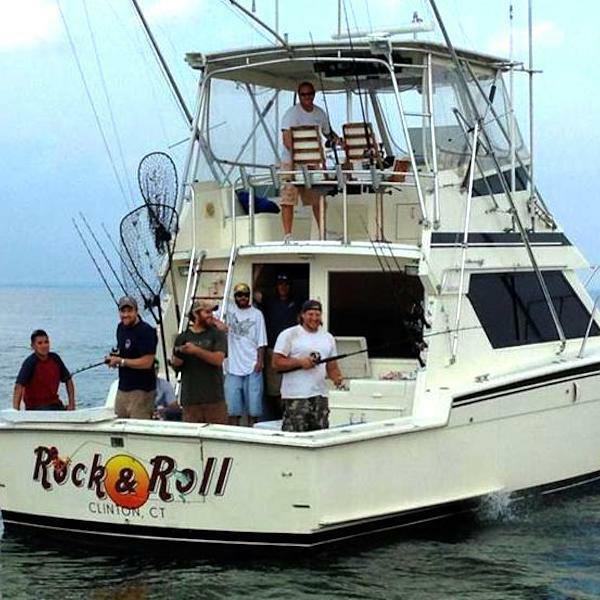 Bio: Captain TJ Karbowski is well known throughout the Long Island Sound fishing community as owner/operator of Rock & Roll Charters. 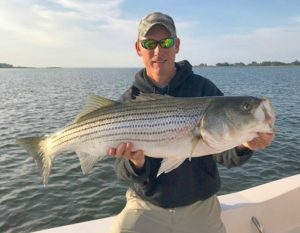 Captain Karbowski spends over 1,500 hours a season chasing Striped Bass, Blues, Blacks, Fluke, Sea Bass, Scup and Sharks aboard his 41’ Hatteras charter boat “Rock and Roll”. This is your opportunity to ask a professional Captain all the questions you’ve wanted to know on chasing these fish; from favorite locations, techniques, lures, moon phases or even boat maintenance questions. 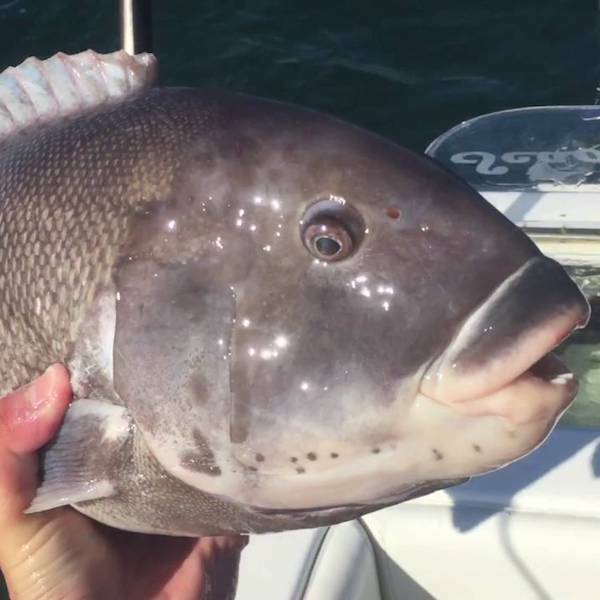 Captain Karbowski specializes in light tackle trolling using his trademark downriggers and has guided his customers to multiple state record catches. 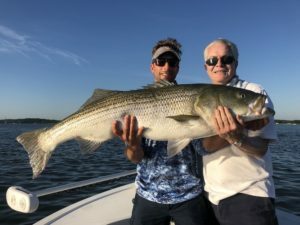 This light tackle approach, along with his ability to consistently put his customers on the fish, are the reasons why “Rock and Roll” is one of busiest charter boats on the Connecticut shoreline. Alberto Knie (a/k/a “Crazy Alberto”) – a world-class extreme trophy game fish hunter and writer/fishing product designer who specializes in the art of Trophy Fishing and Conservation. The Connecticut Department of Energy and Environmental Protection (DEEP) is charged with conserving, improving and protecting the natural resources and the environment of the state of Connecticut as well as making cheaper, cleaner and more reliable energy available for the people and businesses of the state. The agency is also committed to playing a positive role in rebuilding Connecticut’s economy and creating jobs – and to fostering a sustainable and prosperous economic future for the state. Inside the Rattlesinker®, and our other rattle products, are patent-pending sound technology that attracts fish. Gamefish instinctually cannot resist these sounds and vibrations and immediately start hunting towards that sound. The key to properly using the Greg Myerson® RattleSinker® is a technique Greg calls “Rattling”. It works best with any motion whether you are moving it or your live bait moves it. 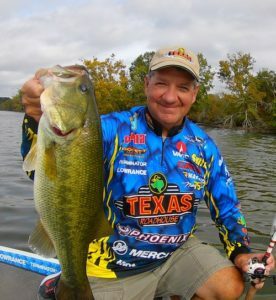 Bio: With over 30 years of bass fishing experience, Texas Roadhouse pro, Mike DelVisco, a full-time time professional angler has competed on the Bassmaster, FLW and PAA Tours, currently competes on the Bassmaster Open Tour and is a 2007 and 2008 Grand Slam and 2009 Bassmaster Series National Championship qualifier, multiple time Regional Championship qualifier and recently finished 4th at the inaugural Ultimate Match Fishing Invitational and won the FLW BFL Super Tournament on Old Hickory Lake. 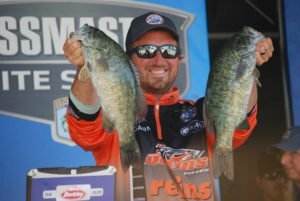 In addition to competing, Mike conducts seminars around the country at many popular sport shows and is a former Bassmaster University instructor. Mike writes for a number of online and print publications and hosts a number of video tip segments on the web and broadcast outlets. Laptew’s all new video presentation will reveal the underwater world of New England’s greatest salt water game fish, the striped bass. You will learn what they eat, when they feed, where the largest fish lurk, and how to entice the bite. Awesome underwater footage will show stripers feeding, expose false albacore attacking their prey, and disclose the most important fish-holding territory for monster fluke. 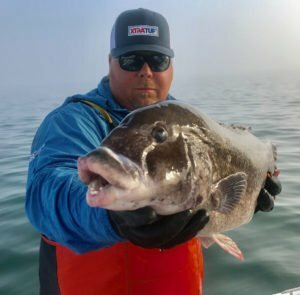 If you’re after black sea bass and tautog, you’ll see their favorite habitats and learn how to score more from the shore, boat, or kayak. 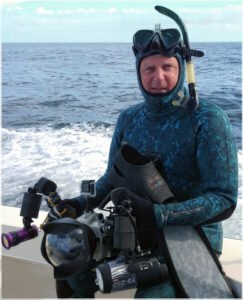 Laptew has been diving for over 50 years and he has been capturing fish on film from Maine to New Jersey, and from Siberia to Costa Rica. 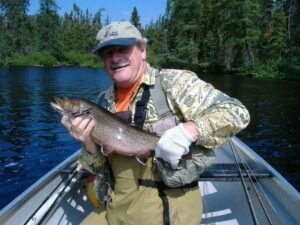 His photographs have appeared in many national and regional magazines including Field and Stream, Gray’s Sporting Journal, Anglers Journal, The Fisherman, On The Water,and Sport Fishing. Laptew’s video footage has appeared on many popular TV shows and documentaries. Mike’s “Focus on Fish” seminar will change your approach to fishing whether you’re a seasoned angler, or new to the sport. It’s a show the whole family will enjoy. 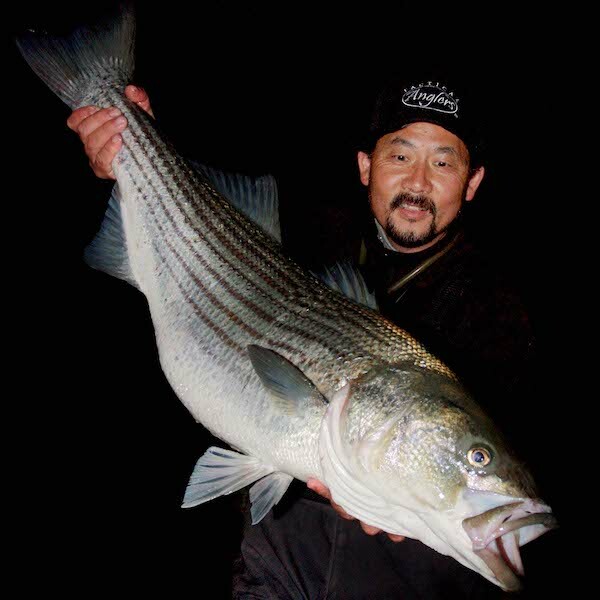 Ron Arra is a 5-time United States Distance surfcasting Champion, professional surfcasting and fly casting instructor, best selling author, and world renowned angler. Arra is currently an endorsed fishing tackle design consultant and pro staff member for world leading fishing tackle manufacturers, including: Century Rod Company, Penn Pure Fishing, Aftco, Spiderwire, Berkley Line, Maui Jim Sunglasses, Strike Pro Lures. In the past Arra was involved in the product development team and pro staff for Lamiglas, Abu Garcia, and DuPont Stren Fishing Line.Â In 1997, Ron contributed to the design of the Lamiglas “Surf Pro” Ron Arra Signature Series rods, which were awarded “Best of Show” at the American Sportfishing Association ICAST Trade Show. Arra is the author of two best-selling books, “The Ultimate Guide to Surfcasting”, and “Power Surfcastingâ€â€” published by Globe Pequot Press. Ronâ€™s instructional video entitled “Surf Fishing & Distance Castingâ€ was also critically acclaimed. 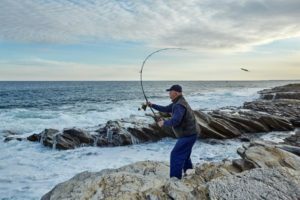 Tapping into his more than 30 years of fishing, Toby Lapinski will discuss the many different ways in which a surfcaster can use eels to catch cow striped bass in the surf. From fishing them live, dead, rigged and skinned, he will tackle the how, when and where to make them work for you! Tom Nelson, the American Archer is a lifelong resident of Michigan and has been shooting shooting a bow and arrow for almost 50 years. Recently Tom was recognized as a Master Bowhunter by the Michigan Bowhunters Association. He was only the 12th bow hunter to be honored with this award in the organizations 60 plus years. A passionate bow hunter Tom has taken more than 300 big game animals, representing over 30 different species. 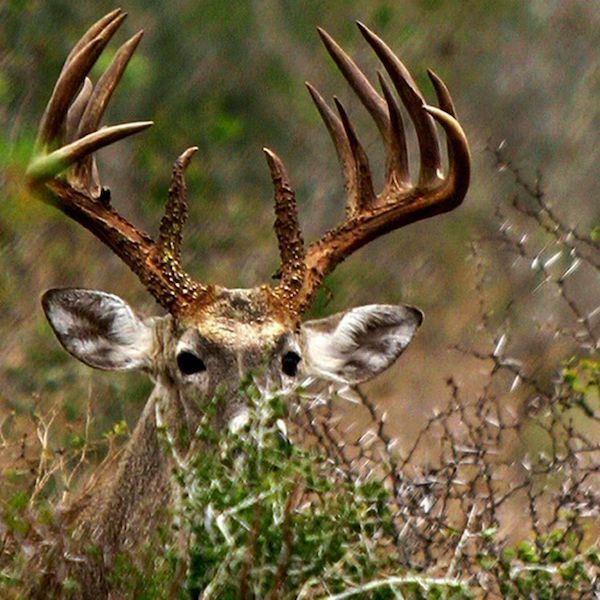 He has bow hunted in 29 states, 8 Canadian provinces, Mexico, South Africa, Namibia and Europe. Each year Tom spends more than 100 days in the field, in pursuit of game with his archery gear. 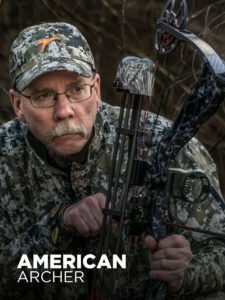 Each week Tom shares his passion for archery and bow hunting into millions of homes as host of Cabela’s American Archer show which recently celebrated it’s 20th season on Outdoor Channel. 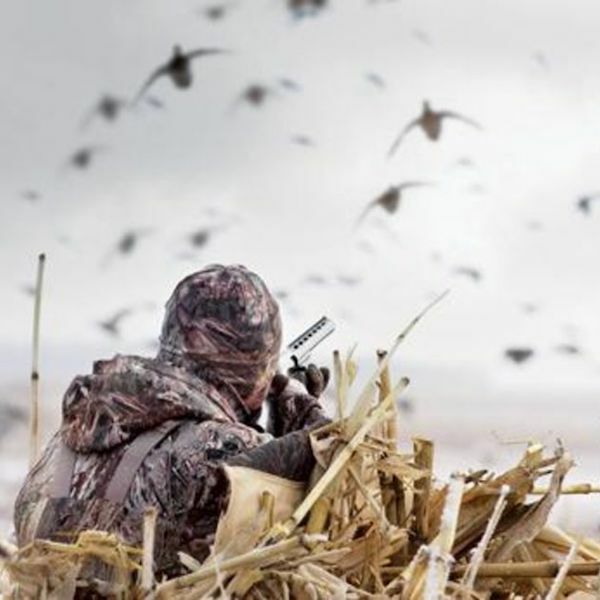 David Lersch, the Chairman of the Connecticut Chapter of Delta Waterfowl will share his 40 years of experience concerning how to find places to hunt waterfowl. 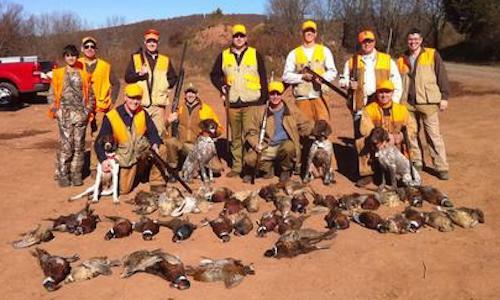 Dave has exclusively freelance hunted in 20 US states and in Canada. 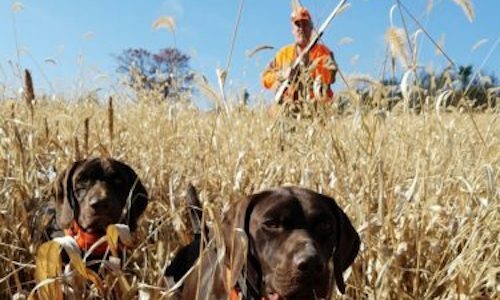 The seminar will describe tools to use to find places to hunt in CT as well as how to determine what equipment is required to safely be on the water. 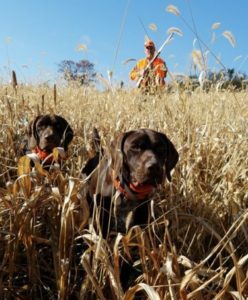 The CT Delta Waterfowl Association is a chapter of the Delta Waterfowl Foundation… the Duck Hunters Organization, a leading conservation group working to produce ducks and secure the future of waterfowling in North America. 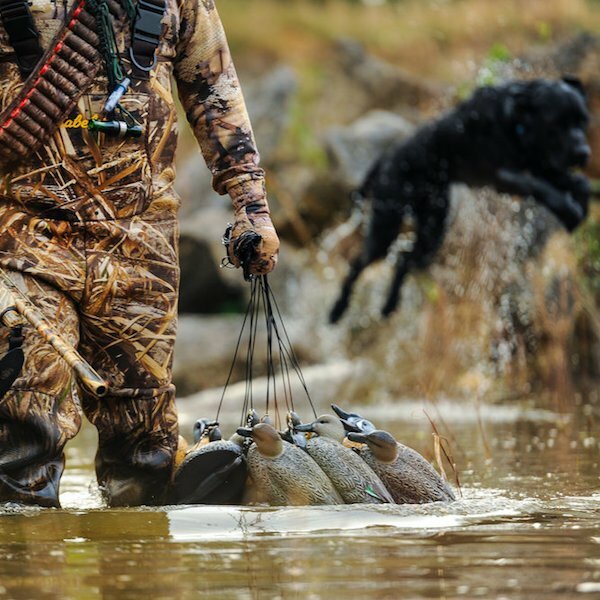 For more on Delta’s efforts on behalf of ducks and duck hunters, click here. 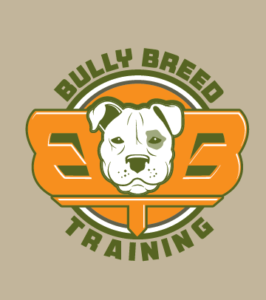 Bully Breed is owned and operated by Stephen Estes, a former police officer specializing in cycling and training. Stephen was a very successful Police Cyclist, and he taught hundreds of officers the techniques to succeed as well. Stephen was also a Senior Cadre Firearms Instructor at Ct. P.O.S.T. and progressed from an operator to a training sergeant on his department’s swat team for over 9 years. Greg had the incredibly good fortune of growing up in the Chesapeake Bay region of Maryland. As a boy, he could walk 100 yards from his house and hunt Canvasback and Scaup! Later, he took up goose hunting on Maryland’s famous Eastern Shore. 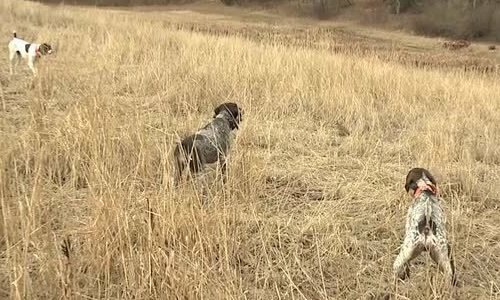 When he moved to Connecticut in 1980, he kept on hunting diving ducks and geese, but also began pursuing dabbling ducks like mallards and wood ducks. He has hunted waterfowl throughout the United States and Canada. 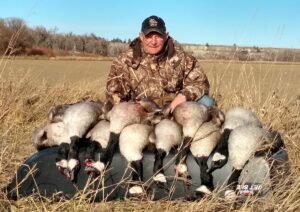 Today, he will share his wealth of experience and provide information on the basics of duck and goose hunting discussing topics like: decoys, decoy spreads, calling, shooting and even some waterfowl biology. Bio: “Del” DelMastro started bow hunting small game animals, using a recurve bow, at the age of 15. Around 1970 Del switched over to a compound bow and continued hunting in the woods of Connecticut. 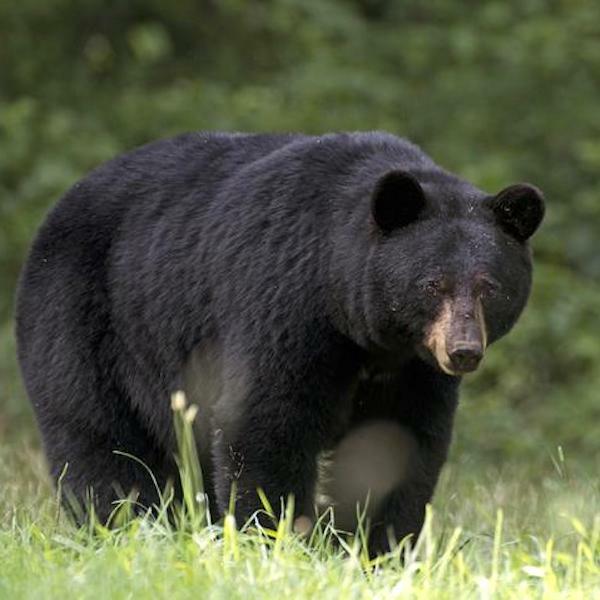 He became one of Connecticut’s first archery industries sponsored Pro-Staff bow hunters in the early 1990’s. He has bow hunted in numerous countries and taken many big game animals with his bow and arrow. He has written articles, as well as having had articles writtenabout him and his many adventures.Del has numerous Pope and Young animals to his credit and is a regular member of the Club.ou can find him at most East Coast Sportsman shows doing seminars on many archery and bow hunting topics, and also as a featured speaker at Cabelas in East Hartford, Connecticut. 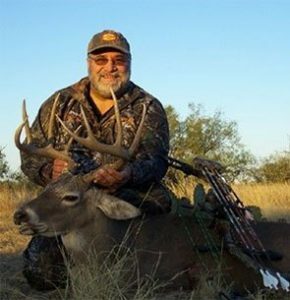 Still residing in Connecticut with his wife Judi, Del is a Senior Archery instructor for the State of Connecticut and former president of the United Bowhunters of Connecticut. The Three Belles Outfitters Fishing Team is a group of passionate and experienced kayak fishing anglers. A varied array of backgrounds give the team a wide breadth of experience. 2018 Team Members include: Cris DeBeer, Thomas Houde, Corey Pelletier, Jose Negron, Joshua Rayner, Elliot Thomas, and Derek Williams. 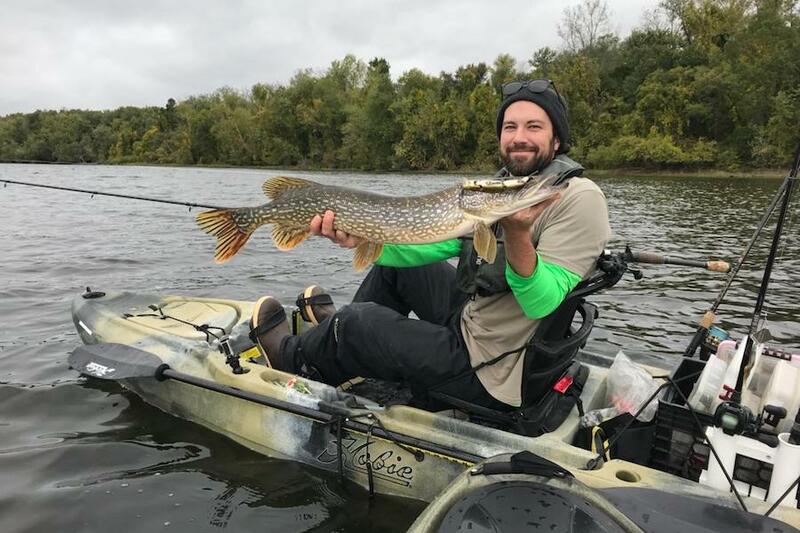 In addition to introducing new kayak anglers to the waters of NY, CT, RI, and MA, the team competes in several regional and national kayak fishing tournaments. The Three Belles Fishing Team hosts the annual TBO Trifecta Challenge Kayak Fishing Tournament out of Niantic, CT in July. All of our 247 Lures are hand-painted and hand-made right here in central Connecticut. Sealed, painted, clear-coated, rigged, and built in our very own workshop. We take great care to ensure each and every lure is of the utmost quality. We would never send you a product that we wouldn’t fish ourselves! 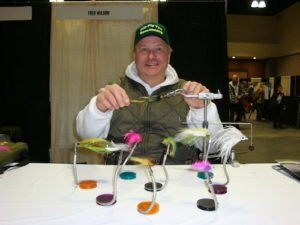 Fred Wilson, owner of Flip Fly Tye, takes his bass fishing tournament experience and applies it to his flyfishing approaches; He is a regular contributor to the sport of fishing and encouraging youth and youth at heart to enjoy the art of fly fishing and tying. Promoting “how to” demonstrations for largemouth, smallmouth bass with conventional and Spey Style Fly Fishing techniques. 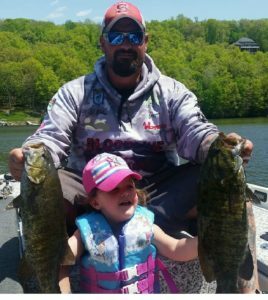 T.J. DeFelice is the owner and operator of Candlewood Lake Guide Service and Bounty Hunters Custom Baits. After serving as a United States Marine Scout Sniper and with United States Special Operations Command for over twenty years T.J. returned to his home state of Connecticut and the water where he grew up fishing in order to pursue his passion with introducing others to the outdoors and passing on his experiences on the water to others while guiding. 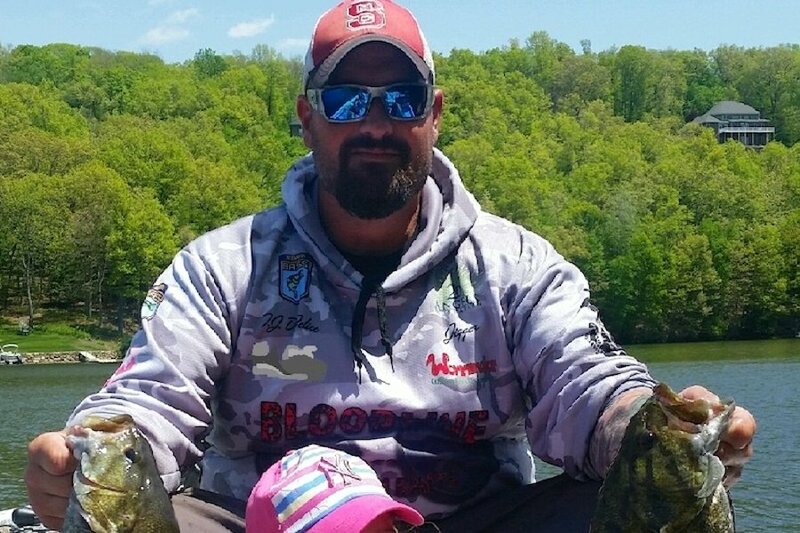 While serving in the Military T.J. was afforded the opportunity to fish some of the world’s best oceans, rivers and lakes. Spending a great deal of time on the water in Southern California and in the Carolinas provided T.J. with the ability to learn and in many ways master fishing techniques that have proven successful nationwide. T.J. has a passion for producing 100% custom hand poured, hand tied and hand painted baits to facilitate these techniques from doodling and drop shotting to fishing finesse jigs and the float and fly. In 2019 T.J. expanded the fishing business and partnered with North East Fishing Adventures. Under North East Fishing Adventures a new line of custom baits will be released at the show in March 2019 including the Float and Fly Evolution. The Float and Fly Technique has accounted for many tournament wins and outstanding guide trips on Connecticut waters over the last three years for T.J. and His Brothers. 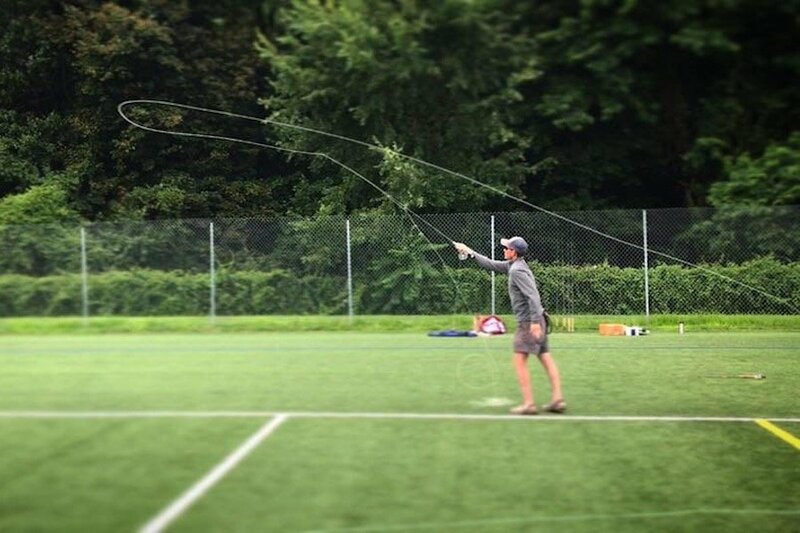 In 2019, Candlewood Lake Guide Service will be providing additional guide services focusing on providing tournament anglers on the water experience with this technique. 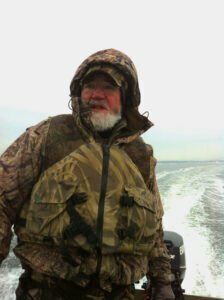 Captain Devlin has over 35 years of experience saltwater fishing the Long Island Sound and has been guiding since the 1990’s. 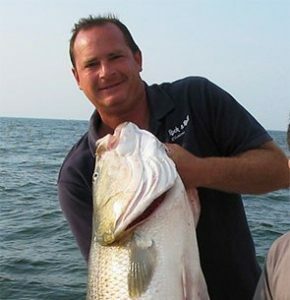 With over 20 years’ experience guiding; Ian is proficient in all saltwater gamefish found in the Northeast. 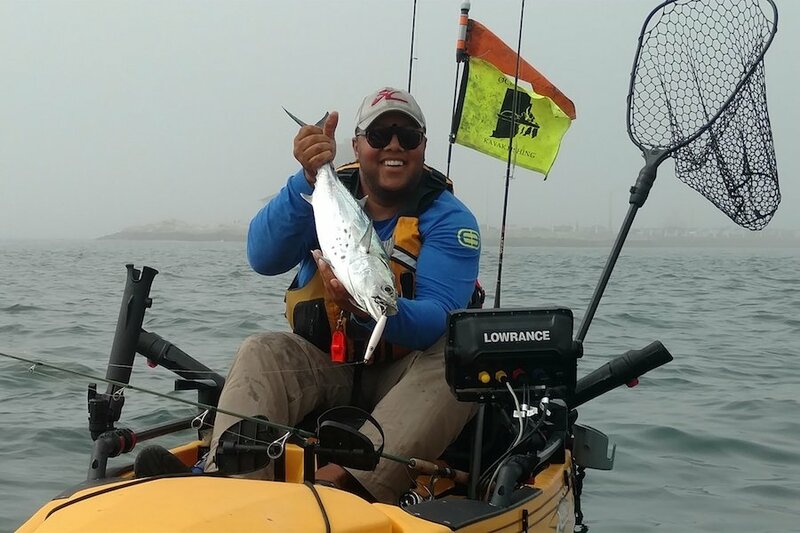 Specializing in fly fishing and light-tackle lure casting for Stripers, Bluefish, False Albacore, and Atlantic Bonito Ian has been featured in numerous publications and television shows. Additionally, Ian holds the current IGFA World Record fly fishing line class record on 20lbs tippet for Bluefish that he set in July 1999. Ian used to live and guide in SW Florida from the mid 1990’s-2006. Guiding Charlotte Harbor, Pine Island Sound, and The Everglades for Snook, Tarpon, Redfish and many other species in both salt and freshwater. Captain Devlin has extensive experience in the fishing industry as well. Being in various retail fishing stores such as The Bait Shop Inc., Compleat Angler, Fisherman’s World, and Boca Grande Outfitters since a kid in the late 1980’s. Having been consulted by multiple companies regarding product development and as a consultant, Ian was most notably a key component in the concept and development of the ICAST 2014 winning G. Loomis ShortStix fly rod series. 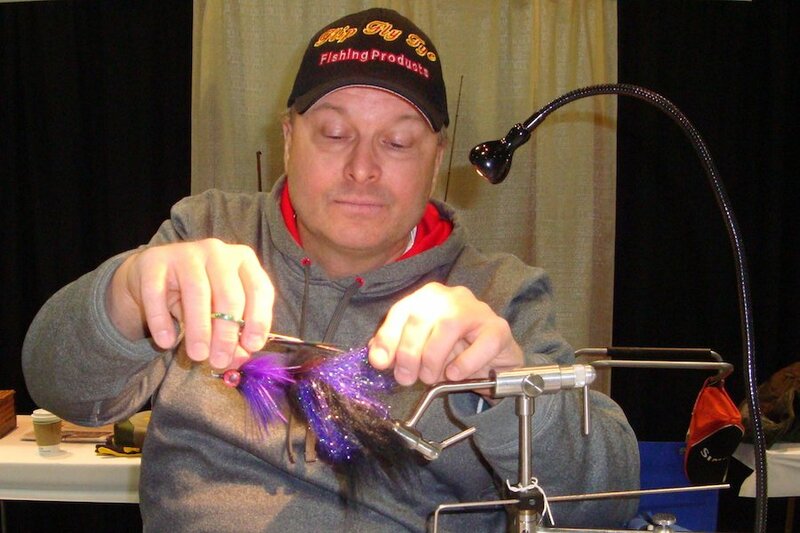 Fly tying is also one of his specialties, starting at 12 years old in 1988. 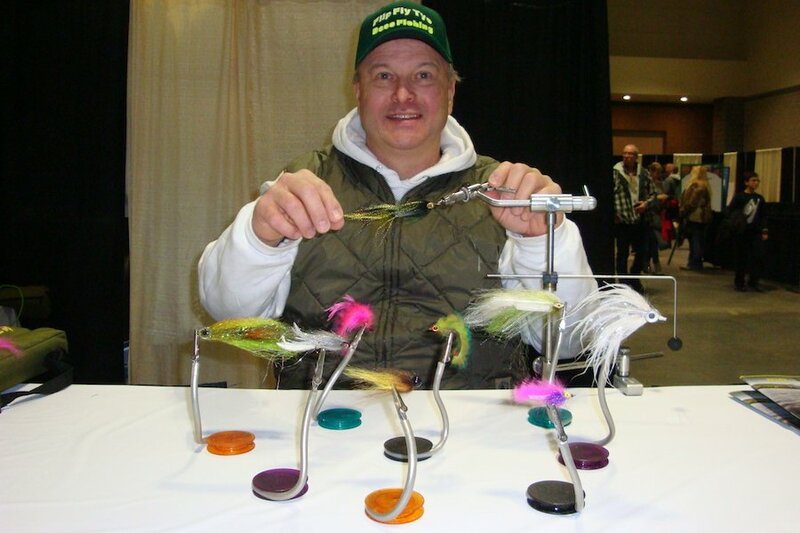 Devlin Blends, starting in 2001, is one of his signature materials and his hand tied flies are shipped around the country and the world for a wide variety of species. He also is a concept tinkerer at his home or at a shop, often conceptualizing something on the spot. Lure modifications and trick rigging ideas etc. Ian is also a sought after casting instructor for the last 20+ years. Being certified by Lou Tabory as a FFF Fly Casting Instructor in 1997. He has done work with Trout Unlimited, Ducks Unlimited, Save The Sound, The Maritime Center, Sono Seaport Association, Housatonic River Cleanup, and The Audubon Society among others. Ian is not only extremely knowledgeable, he is also fun to fish with. You will learn something new every time you fish with Ian and chances are you are going to find fish. Based in Norwalk, Connecticut. 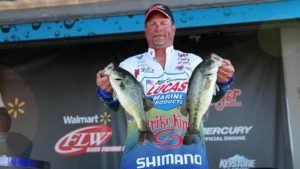 Professional Bass Angler and Master Lure Designer, Bobby Uhrig will teach you what to look for and how to dissect different areas of the lake to optimize your fishing time. We will teach you how to eliminate unproductive water. 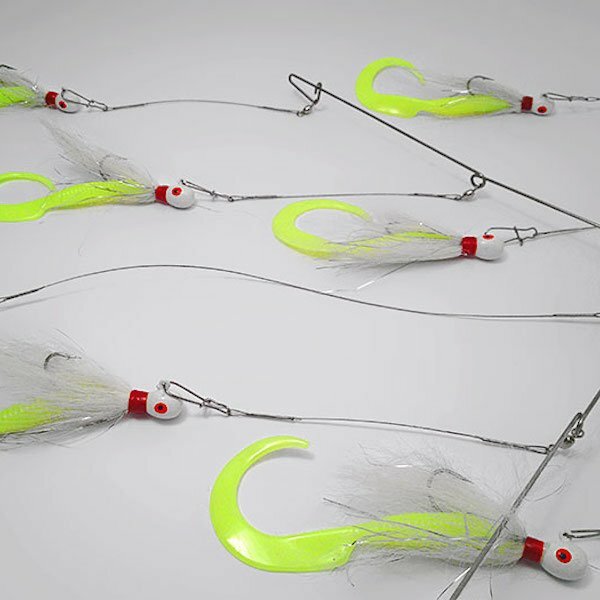 Let us demonstrate the lures and techniques used to catch more fish than ever before. These are seminars you will not want to miss! 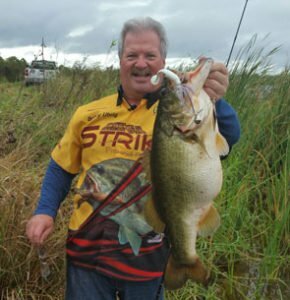 Jim Vitaro is a member of the Fishing League Worldwide and has competed in over 170 tournaments! He has 3 tournament wins and 21 career top 10 tournament finishes! Check out Paul’s 2-part series on Friday – How to catch bass in cold water! 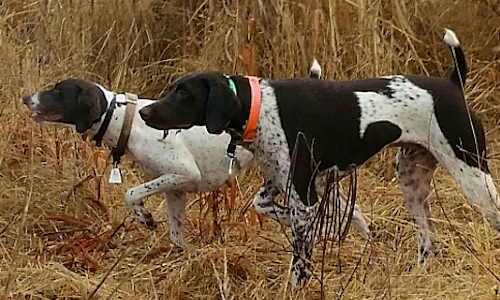 At Dusty W German Shorthaired Pointers, we specialize in Hunting Guide Services, specialized gun dog training, limited breeding, started and finished dogs and puppies. 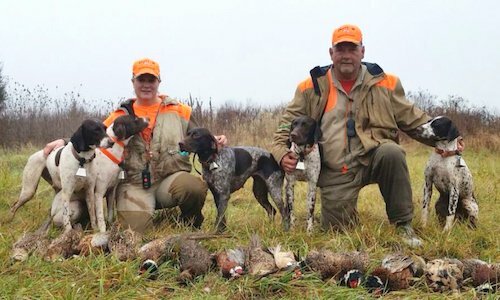 Our goal is to provide you and your dog with safe and happy hunting. Or just a well bred family dog with lots of sense and loyalty. We pride ourselves in breeding good well rounded quality dogs. Our puppies are whelped (born) and hand raised in our home.